In this post, we're going to learn the phrase partly cloudy. 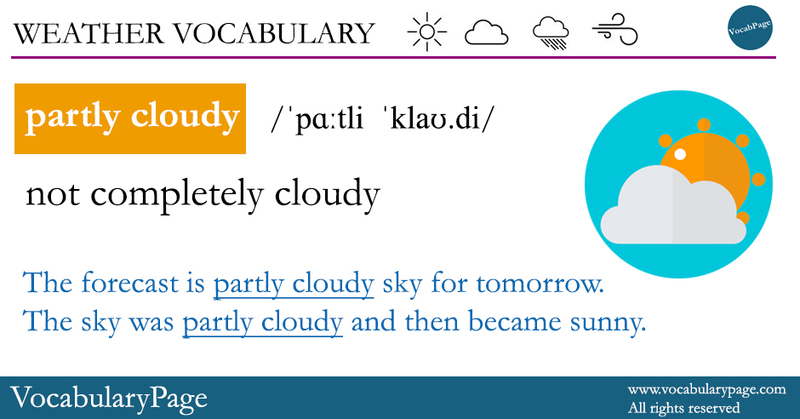 The forecast is partly cloudy sky for tomorrow. The sky was partly cloudy and then became sunny.